The Malta Amateur Athletic Association (MAAA) has been entrusted with the organisation of the 2017 European Championships Third League at the Matthew Micallef St John Stadium, Marsa, between June 24 and 25. This is the fourth time that the local governing body for the sport has been given the opportunity to host a competition sanctioned by the European Athletics Association. “The MAAA is really proud to have been asked yet again by the EAAA to host one of its championships this year,” MAAA president Edwin Attard told reporters at the association headquarters in Marsa, yesterday. “Initially these championships were pencilled for another country. But earlier this year, the EAA offered us the opportunity to hold the biennial competition at Marsa and we decided to take their offer. In all, 12 countries will be participating in the championships – Albania, Andorra, Armenia, Azerbaijan, Bosnia, Macedonia, Georgia, Kosovo, Luxembourg, Montenegro and AASE, formed by a selection from GSSE countries Liechtenstein, San Marino and Gibraltar, and Malta. MAAA chief Attard said that Team Malta is likely to field an athlete in each of the 20 events in both men’s and women’s championships. One athlete who is likely to skip selection for the European Championships Third League and the San Marino GSSE is Kevin Moore. Last year, the Australian-born sprinter had been provisional suspended by the local National Anti-Doping Organisation (NADO) just before the Rio Olympics after claims that he returned a positive test during a meeting at Marsa. Moore successfully contested the charge during a hearing and his provisional ban was lifted. Attard, however, admitted it looks unlikely that Moore will represent Malta this year. “Kevin has been through a lot in the last few months and it looks like that he will not be available for selection neither for the GSSE nor the Euro Championships,” he said. In Moore’s absence, Attard is expecting top sprinters Charlotte Wingfield and Luke Bezzina to lead Team Malta. 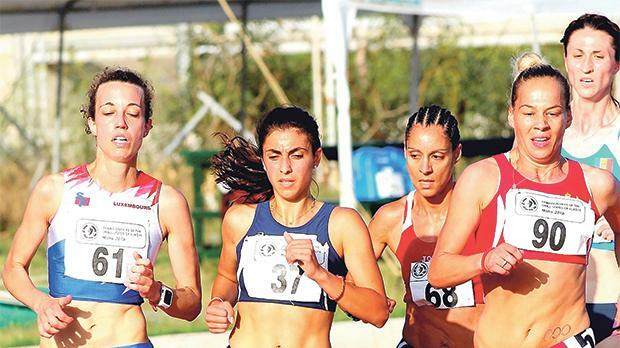 “We are planning to field a very strong team at the Championships and it’s no secret that we expect the likes of Charlotte Wingfield and Luke Bezzina to be among our leading performers,” Attard said. “Both Charlotte and Luke had a very good start to the season after representing the country at the World Indoors earlier this year. “Hopefully, they can maintain their positive momentum throughout the season. Attard added that the MAAA have been in talks with the authorities over the possibility of renovating facilities at the Matthew Micallef St John Stadium. “We have discussed the proposal with the Parliamentary Secretary and in the next few weeks we will be issuing an expression of interest for private companies who intend to take up the project,” Attard said.